Complex cross-border deals. A market-leading disputes division. International secondments. If you’re ready to be a part of it all, we’re ready to hear from you. We look to recruit exceptional people, whatever your background. Since working together is a good way to get to know each other, we often fill graduate positions through our vacation clerkship program. 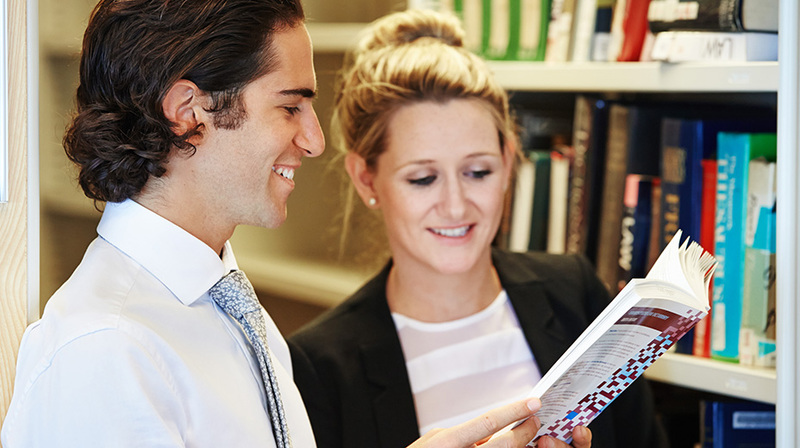 We offer a range of summer and winter clerkships across our Australian offices. We have opportunities throughout the year for you to meet with us on campus and at recruitment events. Thinking of joining Herbert Smith Freehills? This is how the process works. We attend careers fairs and campus presentations in all states. This is your chance to get to know us before applying. You’ll have the chance to speak to partners, solicitors and members of our graduate recruitment team about what you can expect from life at Herbert Smith Freehills. You will also be able to find out more about our vacation clerkship and graduate programs. a recent copy of your academic transcript. We ask all candidates to answer a few short questions about their interest in Herbert Smith Freehills and commercial law generally. We would also recommend reading our advice on preparing your application before applying. Please send your application via our online recruitment portal to the main contact person in the office in which you wish to carry out your vacation clerkship, by the relevant application deadline. We’ve prepared some tips on preparing your application. We run events in each state throughout the recruitment period, where you can meet our lawyers in an informal setting. Chat with our graduates and junior and senior lawyers, and ask any questions that haven’t been answered. We use an online assessment to give you every opportunity to demonstrate your strengths and abilities and show us how you like to work. We’ve included some information on our online assessment process to help you prepare. We aim to make the interview as relaxed as possible. It’s less about us asking a list of prepared questions and more about giving you a chance to tell us all about yourself. Even so, the interview is your opportunity to present yourself in the best light. We have listed some interview tips to help you prepare. Our partners will call you with an offer to join us. We offer most of our graduate positions to vacation clerkship alumni. From time to time, additional opportunities may also be available to apply directly to join the program. Please visit dates and deadlines for more information. As part of our clerkship and graduate recruitment process, we ask those candidates whom we wish to invite to a first interview, to complete a psychometric assessment before the interview. The psychometric assessment is called the ‘Occupational Personality Questionnaire’. To help you understand how and why we use this questionnaire, we’ve included some information answering common questions you may have. The ‘Occupational Personality Questionnaire’ is widely used in organisations around the world and looks at an individual’s preferred behaviours in a work context. There are no ‘right’ or ‘wrong’ answers. Your responses to the questionnaire simply provide insight into where your likely strengths lie. How will the psychometric assessment help Herbert Smith Freehills learn more about me? The psychometric assessment has been designed to help us understand the way you prefer to work. We will let you know if you are invited to complete the questionnaire and you will then be sent an email from SHL, our psychometric assessment provider. The email contains a link to the online questionnaire for you to complete. The questionnaire is untimed and you will be given full instructions at the start of the assessment. Is there anything I should keep in mind when completing the questionnaire? Remember that it is best to answer as quickly and honestly as you can. It is important that you choose the answer which matches how you usually like to work. To familiarise yourself with the overall look and feel of the questionnaire, we recommend you visit www.shldirect.com which provides you with sample questions similar to those you will be completing. Before starting the questionnaire, choose a time and place where you will not be interrupted. Try to make sure you are well rested when you complete the questionnaire, so that you can concentrate. If you need special assistance, or have any disabilities which may need to be accommodated (eg dyslexia), please tell your graduate recruitment contact as soon as possible so that we can make appropriate arrangements. Who will have access to my responses? Your responses will be interpreted by an accredited practitioner or psychologist working with us, who will inform the hiring manager and Human Resources. Your responses are completely confidential, and information about you will not be revealed to anyone outside of Herbert Smith Freehills. Your responses to the questionnaire help inform the questions you will be asked at your first interview. If you are successful in your application, your responses may also be used as part of your development plan when you start your career with us. Will I be able to see my responses? Everyone who completes the questionnaire will have the opportunity to discuss their responses with an accredited person if they wish to. Once we have told you the outcome of the recruitment process, you can request feedback on the questionnaire. We will contact you to arrange a time to take you through your results and answer any questions you may have. This can be either over the phone or in person. If you would like a summary of your responses, we can send it to you after we have taken you through them. If you have any other questions about the psychometric assessment, please contact your graduate recruitment contact. Remember your application is your opportunity to demonstrate the qualities we are looking for. It is your chance to show us your strengths and tell us why we need to meet you. We recruit people with the desire and ability to be exceptional, commercial lawyers. This means that we look for more than just a great academic record and strong technical aptitude. We seek people who are curious, empathetic and understand the importance of building relationships with clients and colleagues. We also look for an international mind-set and a desire to work within our global network, not just one office. We are also interested to see applications from students with language ability, particularly fluent/native Mandarin (written and oral) skills. Beneath are a couple of useful tips to remember. It can be tempting to talk in generalisations about your attention to detail, exceptional communication skills, time management skills or ability to work effectively in a team. It’s much more powerful if you can demonstrate it. remember we are also looking for attention to detail. Make sure you spell the name of the firm correctly and the name of the recruitment contact to whom you’re sending the application. Check your application carefully for spelling and grammatical errors. Better yet, get someone else to check it for you. Think about the people who will be reading your application and what we are looking for. Try to tailor your application to us and help us get to know you, to understand why you want to work with us and to see your strengths. 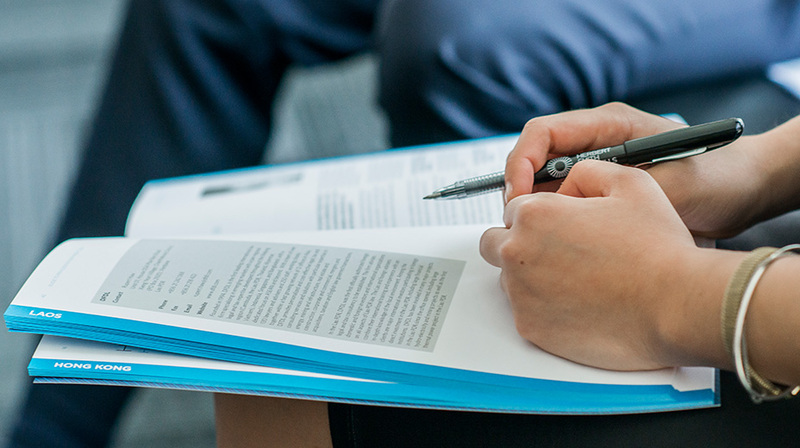 Before the interview you will have had a chance to attend an event where you can meet our lawyers in an informal setting. We hope that you will be able to take the opportunity to come along and chat with our graduates as well as junior and senior lawyers. You will be able to ask any questions, and generally get a feel for what working with us is really like. Your interview is a chance to show us your professional, business side - so all those tips about turning up on time and dressing in a professional corporate style are useful. Beyond that - try to let us see you at your best. You’re likely to be more confident and present better if you have prepared. While we aim to make the interview itself as relaxed as possible, it is important you present and interact in a professional manner. The interview is intended to be a two-way process and provide an opportunity for you to see yourself working with us, as well as for us to get to know you. We want to try and give you a chance to tell us all about yourself. We’re particularly interested in your work experiences, extracurricular activities and interests, and why you think Herbert Smith Freehills is the right place for you. There are a couple of specific interview tips that can help you to appear at your best. Applications will only be considered for one office of Herbert Smith Freehills, this includes globally. Only make an application to the office where you intend to start your career as a graduate. We welcome applications for our Australian vacation clerkship program from international penultimate year law students, provided that you have unrestricted legal rights to work in Australia when you commence your clerkship. We invite around 25-30 penultimate year law students to participate in our vacation clerkship program each year. We offer two clerkships per year. Clerks work in one practice area for the duration of the clerkship. Please note: Applications will only be considered for one office of Herbert Smith Freehills, this includes globally. Only make an application to the office where you intend to start your career as a graduate. We invite around 60-65 penultimate year law students to participate in our annual vacation clerkship program. We offer two clerkships per year. Clerks work in one practice area for the duration of the clerkship. We invite around 35-45 penultimate year law students to participate in our vacation clerkship program each year. We offer two clerkships per year. Clerks work in one practice area for the duration of the clerkship. We invite around 30-40 penultimate year law students to participate in our vacation clerkship program each year. We offer two clerkships per year. Clerks work in one practice area for the duration of the clerkship.